Melbourne Water is owned by the Victorian Government and is responsible for managing water supply catchments, treating and supplying drinking and recycled water, removing and treating most of Melbourne’s sewage, and managing waterways and major drainage systems in the Port Phillip and Westernport region. Melbourne Water engages with the community and stakeholders to share knowledge and increase interest in waterways and adjacent land. 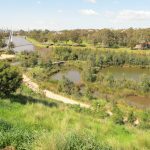 They do this through incentive schemes that provide funding and support to land owners and managers, focusing on private land along waterways and public recreational facilities managed by Parks Victoria and local councils. More information on the types of funding, advice and other non-financial support are available on Melbourne Water’s website. Melbourne Water’s Healthy Waterways Strategy outlines the organisation’s role in managing rivers, estuaries and wetlands in the Port Phillip and Westernport region. The strategy focuses on investing in areas that the community values, improving environmental outcomes and increasing liveability. 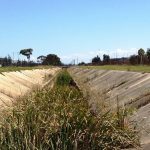 These objectives are closely aligned with the Stormwater Strategy which focuses on managing stormwater to protect and improve the health of waterways and bays. Together, these strategies provide an integrated water cycle management approach to achieve multiple community outcomes and enhance Melbourne’s liveability, which closely aligns with Greening the West’s targets. Both strategies can be viewed here. Melbourne Water supports Greening the West in a broad range of activities that contribute to urban greening, by utilising land and waterway management and integrated water solutions. The Greening the West initiative helps Melbourne Water achieve its vision of ‘enhancing life and liveability’, leading to desirable urban spaces and environments and healthy waterways and bays.